Has your car been skating on black ice lately? Have you been stuck in mud, snow, or sand? Go Auto’s Ford dealerships have the answer: Ford Intelligent AWD/4WD. Ford’s Intelligent All-Wheel Drive (AWD)/Front-Wheel Drive (FWD) is designed to automatically enhance traction and handling control on slippery roads. It makes driving in poor conditions easier than ever. 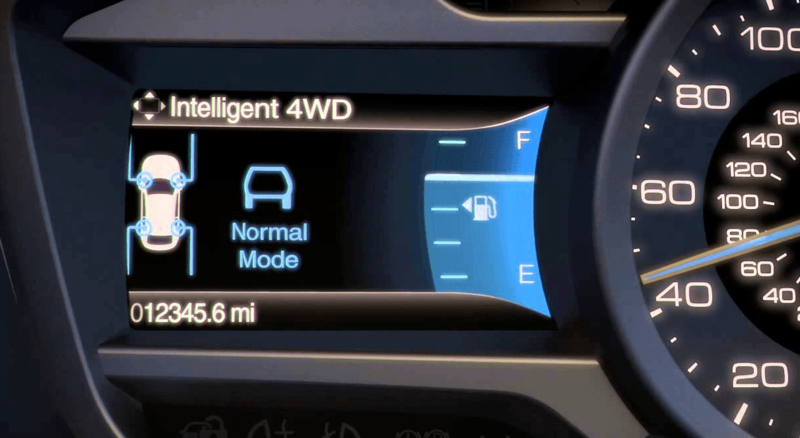 The Ford Intelligent AWD/FWD system monitors the internal workings of your vehicle 62,500 times every second. No, that was not a typo. 62,500 every second. The system determines what the road conditions are and automatically adjusts your vehicle to compensate for those conditions. It surveys things like steering wheel angle, turning rate, and the accelerator pedal position. If adjustments need to be made to better handle slippery roads, the vehicle will do it for you, instantly. This is the perfect system for Alberta road conditions, where things can get snowy, muddy, and slippery seemingly out of nowhere. Ford Intelligent AWD/FWD conquers unfavorable road conditions by applying torque to the rear wheels to improve your car’s traction, preventing or greatly reducing your car from sliding/hydroplaning during icy/wet conditions. This system only activates when necessary. Since AWD guzzles gas a bit more than FWD, this feature only activates during poor conditions. On dry or clear roads, your vehicle will send all power to the front wheels for better efficiency. However, Ford Intelligent AWD activates in a split second when needed. Need to accelerate while going up a hill? The system reacts to that by sending extra power to the rear wheels. Once you’ve made the climb, it’s back to FWD. Intelligent All-Wheel Drive/Front-Wheel Drive comes standard with most of the new SUVs at Go Auto’s Ford locations. If you’d like to learn more about the vehicles come with this great feature, our friendly staff will be more than happy to help!